At Breezway, we are continually considering ways to improve our products. Sometimes, improvements take the form of big projects like the launch of a new window frame. Other times, improvements involve relatively small changes to specific parts of our product. Either way, the changes are always intended to keep making our products better and better. Stainless steel may be strong, but when enough force is applied to bend it, it stays bent! By contrast, acetal plastic springs back to shape when it is bent. This means that if excessive forces are applied to the plastic Ring Handle, instead of being permanently deformed and therefore difficult, or even impossible, to operate, it simply springs back to shape. The stainless steel Ring Handle has a powder coated finish which, over time and through normal use, can eventually be damaged by the metal head of the Map Rod that is used to operate the window. Changing the Ring Handle to an acetal plastic construction avoids the metal-on-metal contact that can lead to damage over time. Colour matching identical materials is fairly straightforward. Colour matching different materials can be tricky. 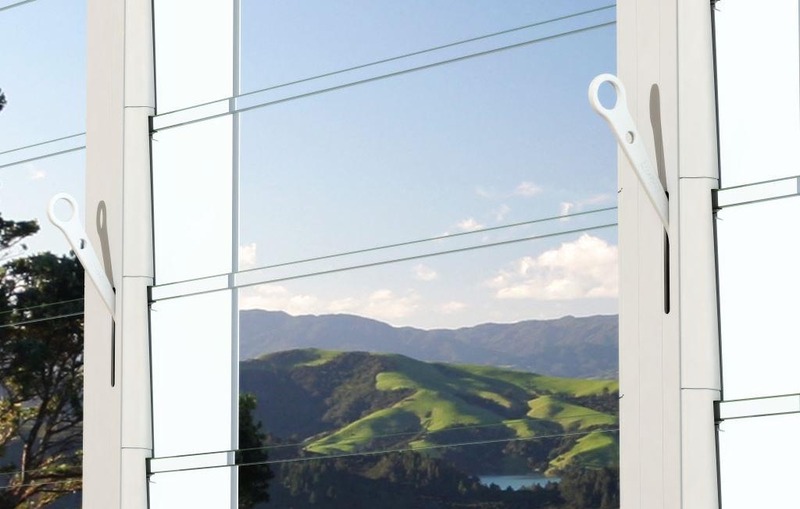 When a Clear Anodised Aluminium finish is chosen for the window frame and a stainless steel Ring Handle is used, a powder coat that is a close match to clear anodised aluminium is used. Although close, it is not possible to exactly match the two finishes. Adding colour matched plastic clips into the equation results in three different materials and finishes. Admittedly, the differences in the colours and finishes of the three materials is slight, but changing to only two materials and finishes will be an improvement to those with a finely tuned eye for colour. Note: Some dimensions of the Ring Handle will change. Please visit www.breezway.com.au/altair-louvre-options/handles-types for more details.